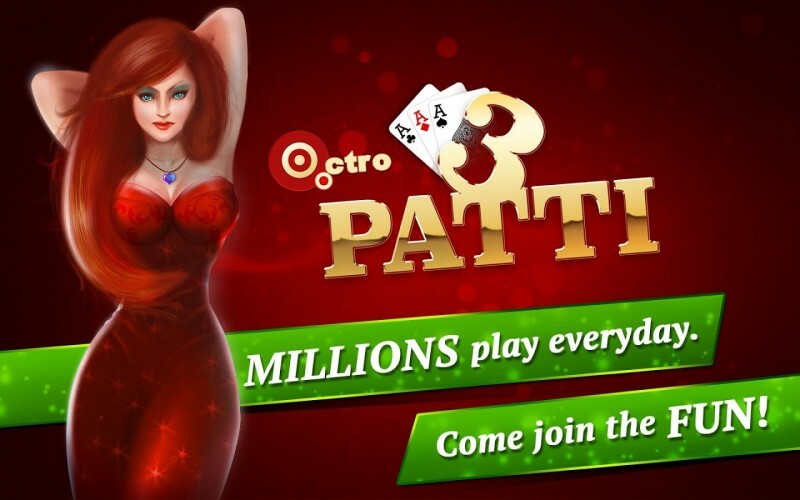 Teen Patti Octro (Indian Poker) has become one of the most popular casino and card game in India with thousands of people playing it at a time. 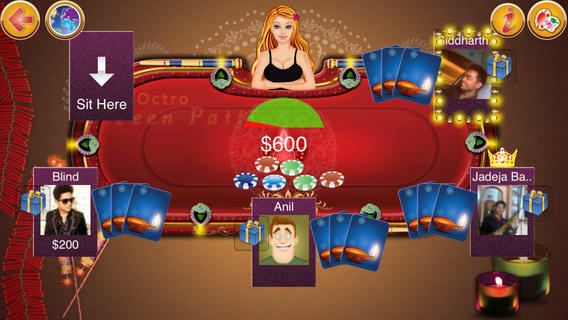 You can download the Teen Patti APK (not modded) file from the download link provided at the bottom. The game is very addictive and you may lost in the world of casino for hours (if you have enough chips to play). There are also many contests held in the game itself which make the game more fun. You can connect the game either via Facebook or Twitter, to play the game with your friends. You will get 10,000 chips in the start up to play the game. Along with this you will also get some chip on daily basis so that if you are out of the chips than you come back and play the game the very next day. The game play is very simple and the person with largest cards win. I have seen that people search “Teen Patti hack” or “Teen Patti mod apk”, etc in order to cheat the game, but let me clarify one thing that Teen Patti is a real time server side game so it cannot be HACKED in any means. So please don’t get carried away by fake website that are providing you the modded apk file with unlimited coins or so. By downloading such files you may end up in wrapping your phone to viruses and worms or even spywares that can pull credential information from your phone. So please download the game only from trusted sources or from Google Play Store. If you are not able to download the Teen Patti Octro from Play Store then you can download the APK file from the link below. The file size is near to 15 MB.